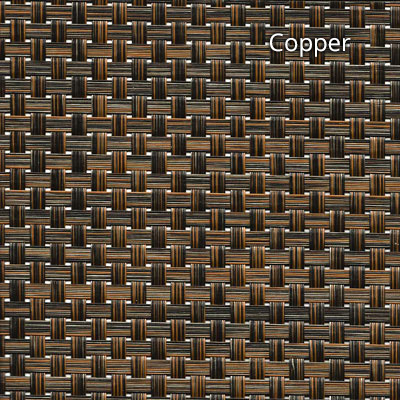 This slightly contemporary design works really well because of its simplicity and the shiny, flat rattan weave. The aluminium frames are sturdy and coated for that rust free, lightweight appeal making them perfect for use outside in all weathers. The mechanism on the lid keeps the box open at various angles and allows it to close firmly shut keeping the contents inside dry. Simple and quick to wipe down and maintain with very little effort. An insulating seal is applied to the inside of the weave for greater waterproofing. UV Stabilisers are added to protect against fading and the fibres are also colour fast.No harmful elements like Lead or Cadmium are used in the production process and all raw materials are 100% recyclable. It is tolerant to all types of water including sea and chlorinated water.